Probably the most masterful Bolino Engraving you will ever see on a knife. It requires a ten-to fifteen-power loupe to really see how it is formed. A massive number of hours went into engraving this knife by the Italian Master Engraver, Manrico Torcoli. (He embellishes Purdy Shotguns with engravings that run upwards of $150,000.) The engraving on this Hoel folder came to $7,000. 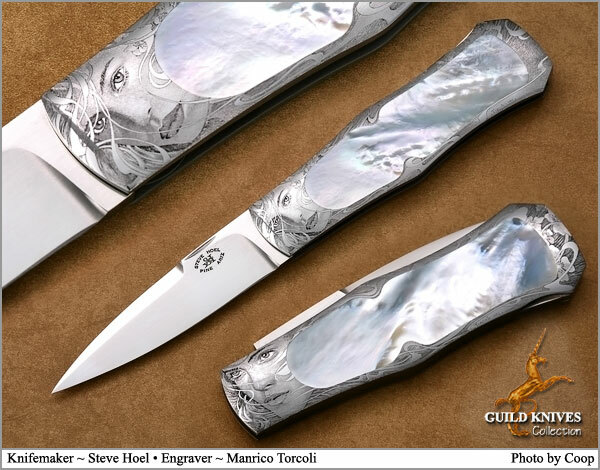 As a top knifemaker Steve Hoel is world-renowned.